Getting down to the wire on the Connecticut homestead purge. Just when I thought all the angels had taken flight, Jeanette Vartuli winged her way to my front door, shed her halo, rolled up her cashmere sleeves and morphed into the heavenly liquidator. 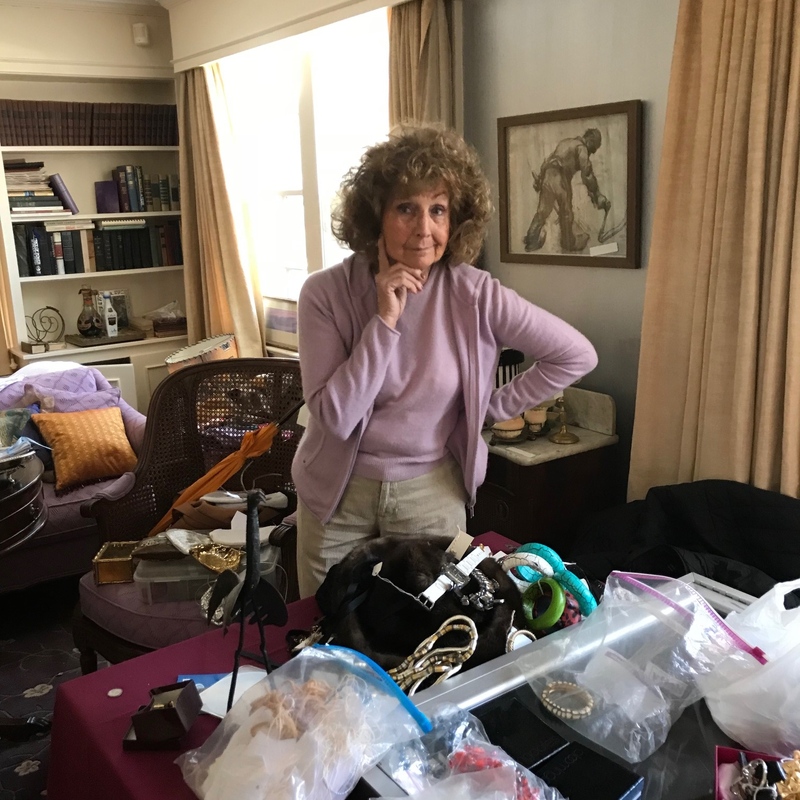 The estate sale maven has worked tirelessly, sorting, researching, organizing, displaying and ultimately, selling generations of our possessions and memories, readying them to find new homes. The Super Bowl of estate sales kicks off this Friday, March 15th from 9:30am-4pm and Saturday 8:30am-4pm. Our collective souls are on the selling block so if you would like to own a piece of our hearts show up this weekend. She has been an invaluable asset during this emotional and physically demanding sojourn, displaying charm and compassion along with consummate business acumen. Unbelievably, the 82 year-old has the energy of a ninja, dressed in Connecticut chic. 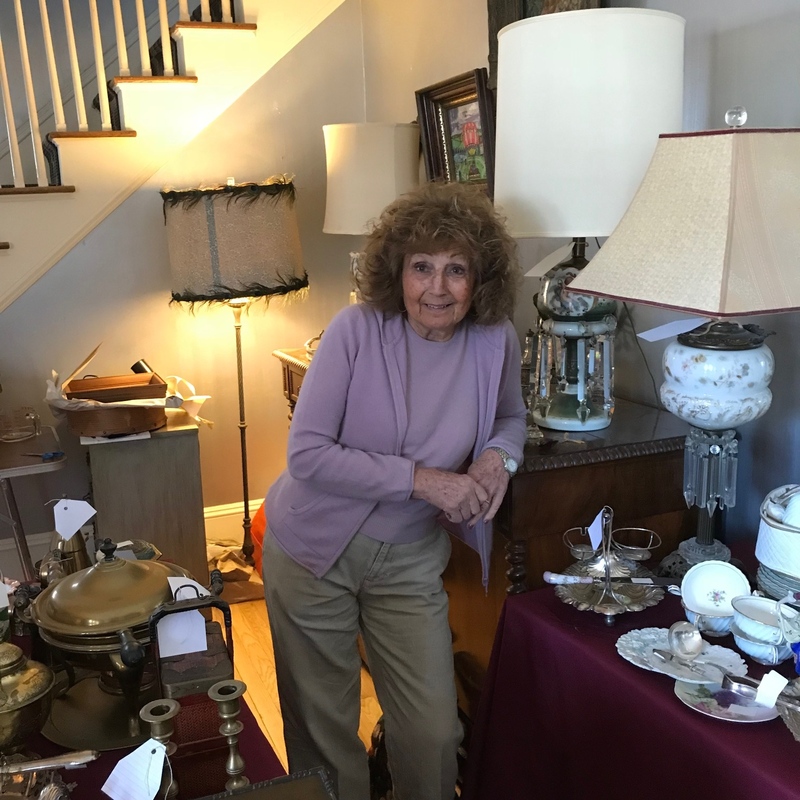 Jeanette’s thriving estate sale business started accidentally 49 years ago when she came to the aid of her husband’s client, helping her dispose of belongings. Jeanette is armed with an impressive background, spending 27 years at prestigious William Doyle auction house where she tirelessly worked the auctions on the upper east side until 2 years ago. Doyle New York is one of the world’s largest auctioneers and appraisers of fine art, jewelry, furniture, decorations and other specialty items. Throughout this arduous journey, you can rest assured that Jeanette gives her all as your success is her success. And finally, on a personal note, Queen E. and her humble, hard working team, comprised of Toby, David and Courtny, are hopefully moving forward, unencumbered, light of spirit with a little windfall to help contribute to the homestead renovations. Along with being hardworking this loving Mother of four is the kindest and caring Sister-in-law that I’m proud to say is my brother’s wife! Really?! You are Jeanette’s sister-in-law? She is a wonderful person as you know better than I do! If you are interested in having Jeanette Vartuli to conduct a sale for you, she can be reached at 203-323-3431.